The OSCE Special Monitoring Mission reported on civilian casualties in war-torn Donbas. Medical staff at a hospital in government-controlled Volnovakha 53km south of Donetsk told the SMM that two women – a 60-year-old from Donetsk and a 56-year-old from “DPR”‑controlled Khartsyzk 26km east of Donetsk – were injured by an explosive device near a Ukrainian Armed Forces checkpoint north of government-controlled Berezove. “According to the medical staff, the women were travelling to government-controlled areas by bus and entered a wooded area near the checkpoint, when the 56-year-old triggered the explosive device, resulting in shrapnel injuries to her legs, torso, arms and head,” the report reads. Read alsoUN peacekeepers deployment in Donbas blocked by Russia – Ukraine's mission to NATOThey said the other woman was some 20 meters away at the time and sustained shrapnel injuries to her left calf. The medical staff said the women were given first aid on the scene by military personnel and transported by ambulance to the hospital and that both were in satisfactory condition. 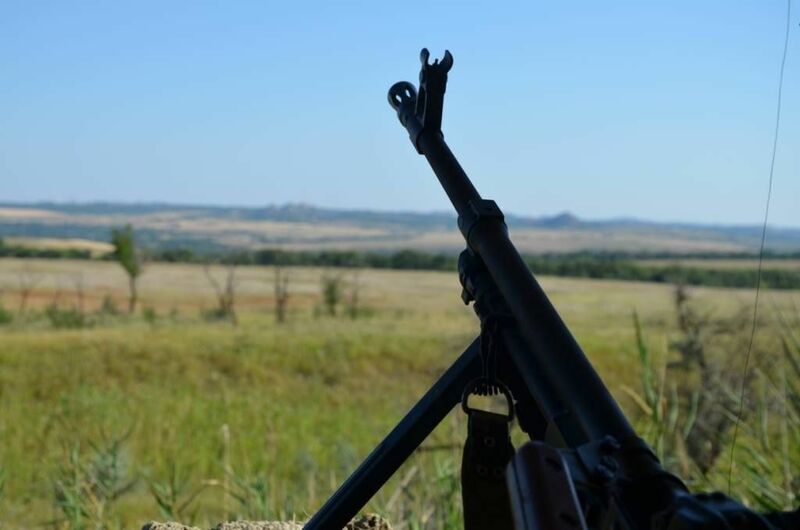 As UNIAN reported earlier, the first day of the so-called “school-year ceasefire” was not completely calm as Russian-backed militants shot at Ukrainian positions 18 times, leaving two Ukrainian soldiers wounded.